1. So what’s all this about a Tory election fraud? The Crown Prosecution Service today announced that, following a police investigation into allegations relating to Conservative Party candidates’ expenditure during the 2015 General Election campaign, no charges will be brought. Fourteen police forces submitted files of evidence for the CPS to consider, said to show that candidates and their agents had submitted inaccurate expenditure returns and, in the case of all but one (a decision on which is pending), the CPS have concluded that no criminal charges should be authorised. 2. What was inaccurate about the expenditure returns? In short, there are complex rules governing expenditure during election campaigns. One of the more simple is a legal requirement that all candidates – or in practice, their agents – submit to the returning officer within 35 days of the election a “true return” declaring their expenditure, stating all payments made relevant to the campaign together with invoices and receipts. This allows, among other things, for people to check that a candidate has not breached the spending limits (calculated according to a convoluted formula set out in section 76(2) of the Representation of the People Act 1983) to secure an unfair advantage. There are similar rules prescribed for registered political parties in relation to national campaign spending. 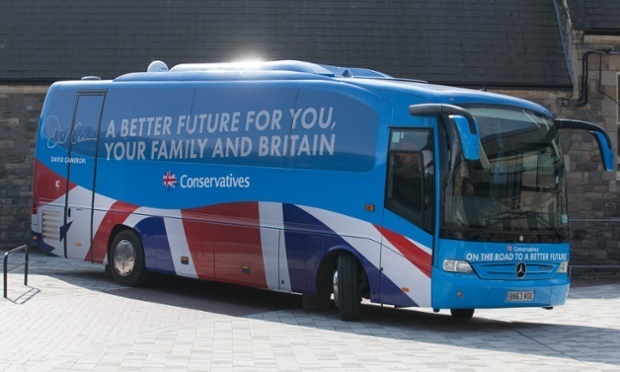 In the 2015 General Election, the Conservative Party deployed “Battlebus2015”, a campaign in which party activists were bussed into target marginal seats. Problems arose when it emerged, as part of a Channel 4 investigation, that the travel, accommodation and subsistence costs of those activists had been classified as national party expenditure – part of the nationwide Conservative Party campaign – rather than local expenditure, and was therefore not declared on the records of the candidates whose campaigns the activists appeared to be helping. It was suggested by political opponents that this represented a deliberate attempt to circumvent the spending limits. 3. This sounds familiar. Hasn’t there already been a prosecution? You’re thinking of the Electoral Commission investigation, which reported in March of this year. One of the many inexplicable quirks of electoral law is that it is enforced separately at national and local level. The Electoral Commission is the statutory regulator with investigatory and enforcement powers over registered political parties, and is responsible for securing compliance with requirements relating to, inter alia, political party campaign spending. The Commission has the power to investigate alleged breaches of the law and, if it finds a breach proved, to impose financial penalties, as set out in the Political Parties, Elections and Referendums Act 2000 (PPERA). But as I say, this is only at the national party level. The law governing individual candidates is the criminal law set out in the Representation of the People Act 1983 (RPA), enforced in the criminal courts by the police and Crown Prosecution Service. So where, as here, there are allegations that local expenditure has been misrecorded as national, it straddles the two parallel regimes. The Electoral Commission therefore investigated what offences, if any, were committed by the party, with the police and CPS looking at individual candidates and their agents. 4. What allegations did the Electoral Commission consider? The Commission investigated a series of alleged discrepancies arising out of three by-elections in 2014 (Clacton, Newark and Rochester & Strood), European Parliament elections in 2014 and the General Election in 2015. This was wider than the CPS investigation that followed, as criminal proceedings in respect of any offences committed in 2014 were time-barred by statute, meaning the CPS were only concerned with the 2015 allegations. The full report is here, but in short, the Electoral Commission considered a series of allegations that the Conservative Party had failed to declare a complete statement of its spending, both by wrongly declaring local expenditure as national and by omitting certain expenditure – including £63,487 on the Battlebus – altogether; had failed to provide adequate accounting records; and had failed to keep invoices and receipts. Responsibility for this was said to ultimately fall on the Treasurer, Simon Day (who is presently under police investigation and so about whom nothing more will be said). 5. What did the Electoral Commission conclude? It found that there had been three failures to keep accounting records sufficient to adequately show their transactions (in contravention of section 41 of PPERA), all of which related to the 2014 by-elections. And it found proved two offences proved under section 82(4)(b) relating to the 2015 General Election: firstly failing to submit a complete spending return (by wrongly including £118,124 of local candidate spending and omitting at least £104,765 of national spending); and secondly failing to provide receipts and invoices to the value of £52,924. The Commission fined the Conservative Party a record £70,000. 6. That sounds pretty damning. So why are the CPS are now refusing to prosecute? It has to be borne in mind that the Electoral Commission and CPS were considering separate issues and applying separate tests, albeit with a common factual nexus. As far as the local candidates were concerned, there were two available criminal offences: “knowingly making a false declaration” contrary to s.82(6) of the RPA, amounting to a “corrupt practice” punishable upon conviction by up to two years’ imprisonment; and a lesser offence of failing to deliver a true return, amounting to an “illegal practice” contrary to sections 81 and 84, punishable by a fine. The distinction between “corrupt” and “illegal” in this context is that to prove the more serious “corruption” offence, the prosecution must prove that the individual acted dishonestly – i.e. that s/he knowingly acting dishonestly according to the ordinary standards of reasonable and honest people. When considering whether to prosecute, the CPS applies the “Full Code Test”. This has two parts – the evidential test and the public interest test. The evidential test is simply: is there a realistic prospect of conviction – i.e. of persuading a court of guilt beyond reasonable doubt – based on the available evidence? If this is satisfied, you go on to consider whether a prosecution is in the public interest. The CPS formed the view that, as the candidates and their agents had been assured by Conservative Party HQ that the Battlebus expenditure was legitimately part of the national campaign, it would be very difficult to prove that the candidates or agents acted dishonestly, as opposed to having acted mistakenly in good faith. In relation to the lesser offence of failing to deliver a true return, the CPS concluded, perhaps charitably, that for for the same reason it was not in the public interest to charge any of the agents or candidates with that offence. 7. So the Conservatives did nothing wrong? “[The CPS] confirmed what we believed all along” – that “local spending was properly reported”. Yes. Brazenly. The CPS in fact said the opposite, concluding, as we’ve seen, that there was evidence to support a prosecution of failing to submit true expenditure reports, but declined to prosecute as an act of clemency on public interest grounds. The magnitude of the contraventions and the harm caused to confidence in the PPERA regime were, in the Commission’s view, significant. The correct apportionment of spending between parties and candidates has a significant impact on the effectiveness of, and public confidence in, the PPERA regime. The advantage obtained by the Party from its actions with each invoice provided to each of the three candidates and agents which inaccurately understated the amount spent by the Party on behalf of the three candidates. This is irrespective of whether, in the end, the Party’s candidates were successful in the by-election. The significant uncertainty for voters as to whether the Party complied with its duties significantly, which increased the weighting to be attached to the magnitude of the breach and the impact on public confidence. The lack of cooperation by the Party during the investigation. The fact that the Party does not accept the requirement to keep records of this type, which leads the Commission to consider the risk that the Party may follow a similar course of action in future if the Commission does not take robust action to make its position clear. An acceptance that, while the second and third contraventions were no less serious than the first, the three separate failures resulted from the same misconceived course of action. In respect of the offence under section 82(4)(b) of PPERA related to the failure to deliver the Party’s 2015 UKPGE spending return with a statement of all campaign spending payments, the Commission has imposed the maximum financial penalty of £20,000. The omission of over £100,000 of spending from the Party’s return alone, which was a significant loss of transparency and a failure of significant magnitude. The actual value of the under- and overstated spending was likely to be far greater. The advantage obtained by Party by its actions; the inclusion in the Party return of what in the Commission’s view should have been reported as candidate spending meant that there was a realistic prospect that this enabled its candidates to gain a financial advantage over opponents. In this respect the Commission noted that the Battlebus2015 campaign visited target constituencies and that South Thanet was also a key priority for the Party. The unreasonable uncooperative conduct by the Party, of which this offence was one element, which delayed without good reason and for a number of months the provision of information needed to progress the investigation. This in turn increased the public funds incurred by the Commission during the investigation. In respect of the offence under section 82(4)(b) of PPERA related to the failure to deliver all the required invoices or receipts with the Party’s 2015 UKPGE spending return, the Commission has imposed a financial penalty of £5,000. The harm caused to confidence in the party finance regime represented an aggravating factor, in light of the value of the payments and the campaign to which they related. The omission of supporting information undermines the ability of the Commission and the public to review and verify the spending figures within the return. There was a consequent impact on transparency and most likely, as a direct result, on public confidence. The unreasonable uncooperative conduct by the Party during the investigation, of which this offence was one element, which delayed without good reason and for a number of months the provision of information needed to progress the investigation. The Party has now provided the missing invoices and receipts. However, these were only provided as a result of the Commission’s enquiries. 9. This sounds like a giant cover-up. Jeremy Corbyn is right to publicly announce that he is “surprised” by the CPS’ decision. No. No no no. No. Just no. There is no evidence at all to reasonably support the claim that the CPS have reached the wrong decision; in fact it was predicted by much wiser commentators months ago. It was always likely to be tricky to prove that local candidates completing their expense returns in reliance on the advice of party HQ were individually dishonest, as opposed to careless. Furthermore, the golden rule in all such cases is that anyone not privy to the evidence, and who is limited to the information in the public domain, should tread carefully before reaching a view on the correctness of the CPS’ determination. To criticise a prima facie explicable decision without having seen the evidence on which it is based, or to imply conspiracy or undue influence, is to snap Occam’s Razor in a political tantrum. It’s not just the Conservatives at fault, either. It must be pointed out that the Electoral Commission has recently fined both Labour and the Lib Dems £7,000 and £20,000 respectively for similar failures to declare spending. There is much wrong in this case, and plenty that we can learn. Unfortunately for the more excitable on the internet, neither a failure by the CPS to pin down a clear Tory electoral fraud, nor vituperative incompetence on the part of a bumbling Electoral Commission persecuting innocents, is the lesson to take home. This entry was posted in Bad Law, Lawsplaining, Politics and tagged Courts, Crime, Election, Expenses, Law, Politics. Bookmark the permalink. Why do you think an offence under S.76 would not be available? If they ought reasonably to have known expenses would be incurred above the max allowable that would be an illegal practice. The standard is lower as only requires that they ought reasonably to have known so does not require evidence of dishonesty.. Is this not available as an offence on the basis they did not incur the expenses themselves because CCHQ paid it? Great article. If the prime minister lied so blatantly, is there any scope to challenge this? Seems odd that you could get away with that scot free. I know Ipso is useless, but surely this is provably factually inaccurate? I guess all parties should have a Battlebus and claim expenses at a national level instead of local level. I don’t understand why you neglect to mention the CPS’s decision not to charge them with illegal practices under s.76 (authorising expenditure they ought reasonably to have known exceeded the limit) and s.81/84 (inaccurate returns). From the evidence in the public domain it seems there would have been a high chance of conviction, and I suspect these are what was referred to as ‘technical offences’ in the CPS press release. These offences were surely defined precisely because of the anticipated difficulty of proving deliberate dishonesty. Since they’re there, and there’s evidence they’ve been broken, I honestly can’t fathom the CPS decision not to charge. But I’m not a barrister. Any insight?